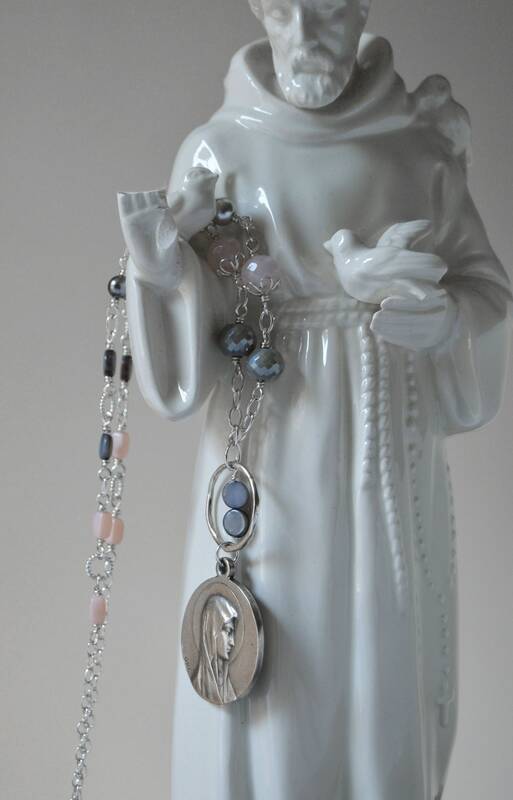 Catholic Religious Jewelry, elegantly traditional in sterling silver, rose quartz, Swarovski crystal pearls and smooth grey shell beads. 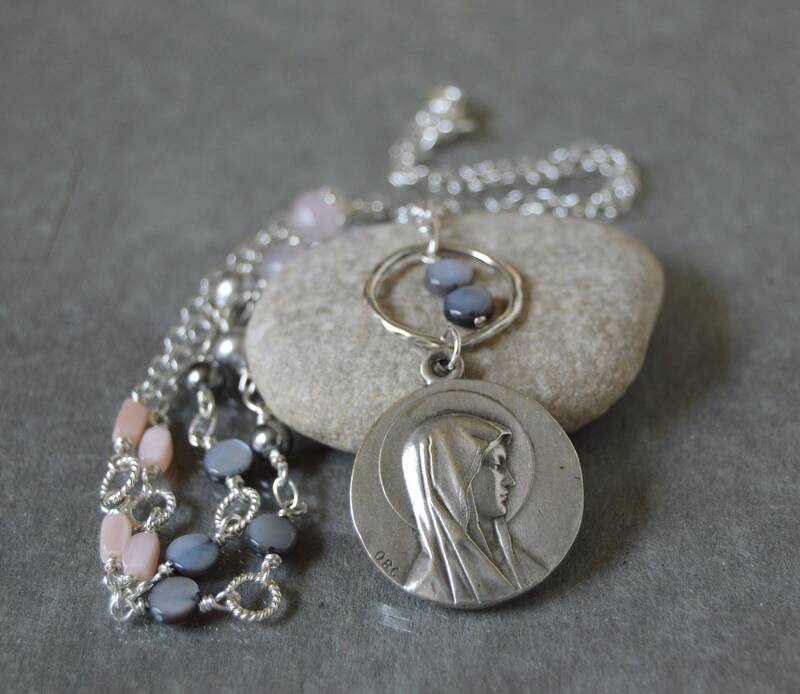 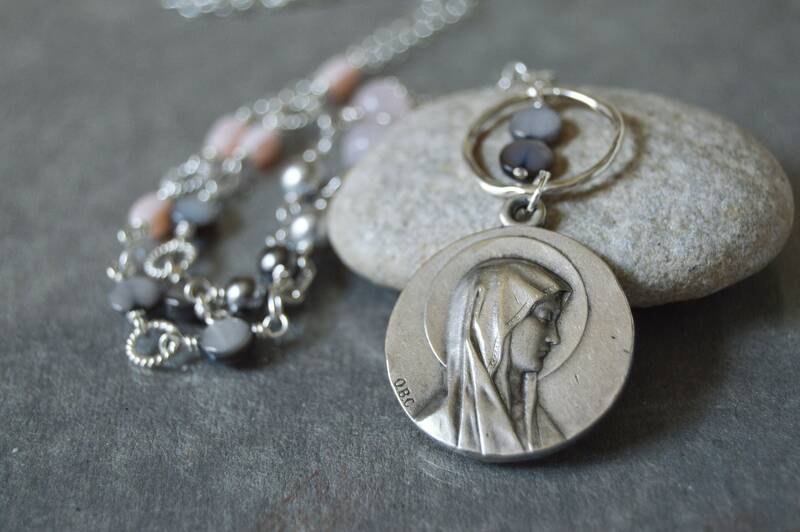 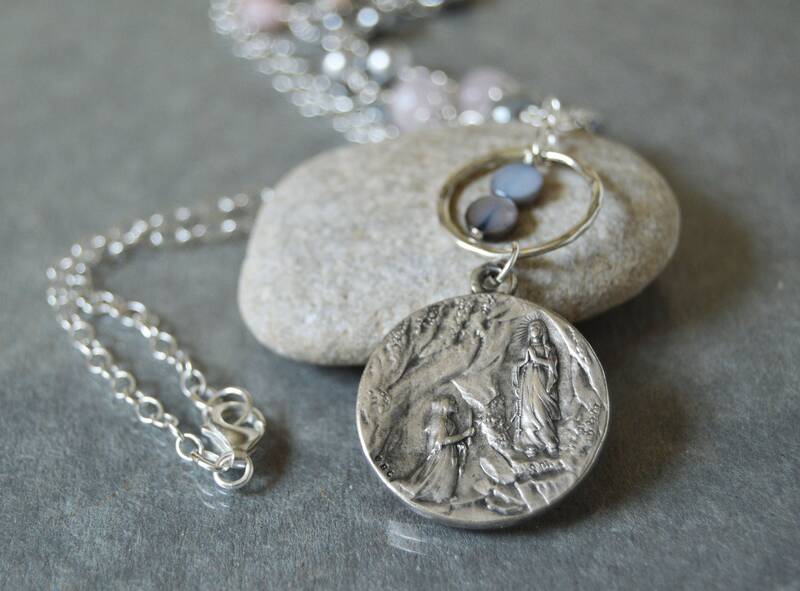 Featuring a large French antique medal of Our Lady of Lourdes signed by the maker, OBC, the drop is accented by a sterling silver hammered ring with two round grey shell beads. 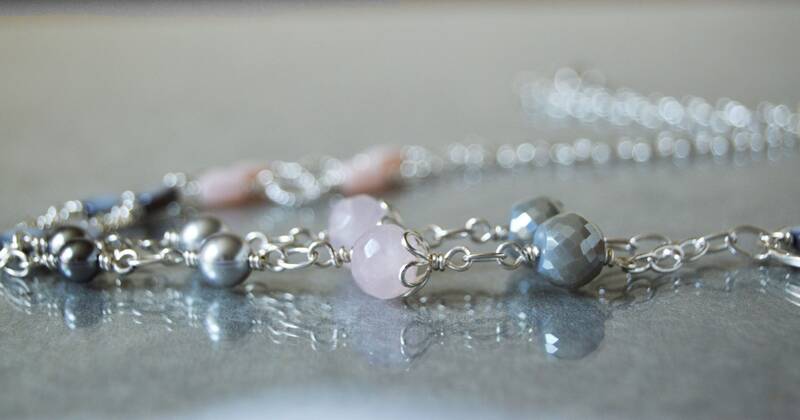 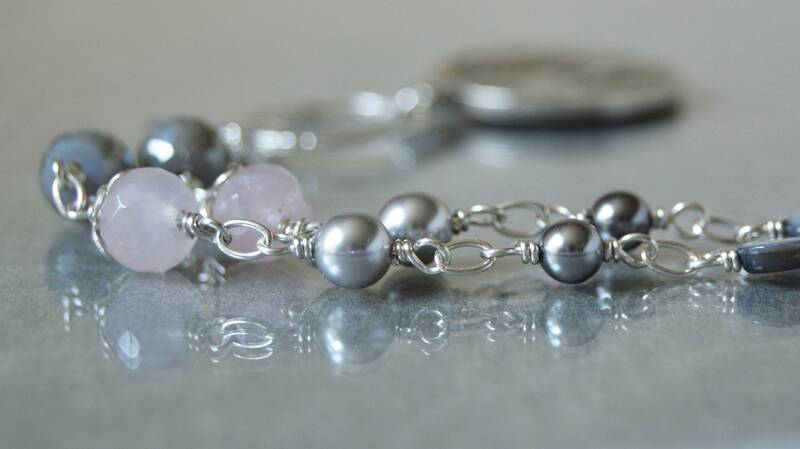 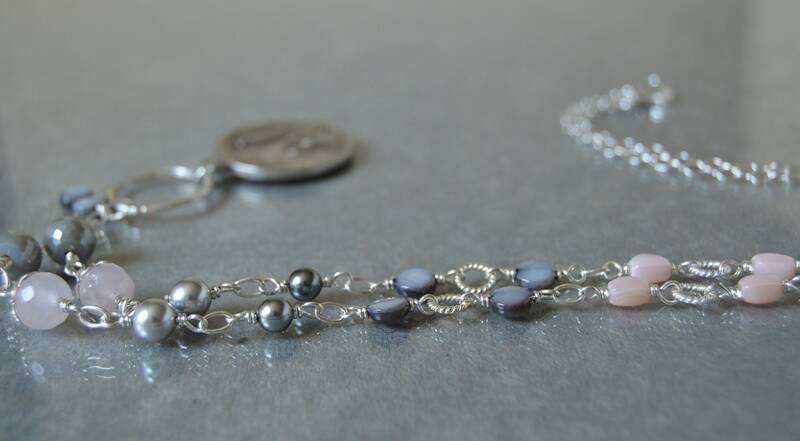 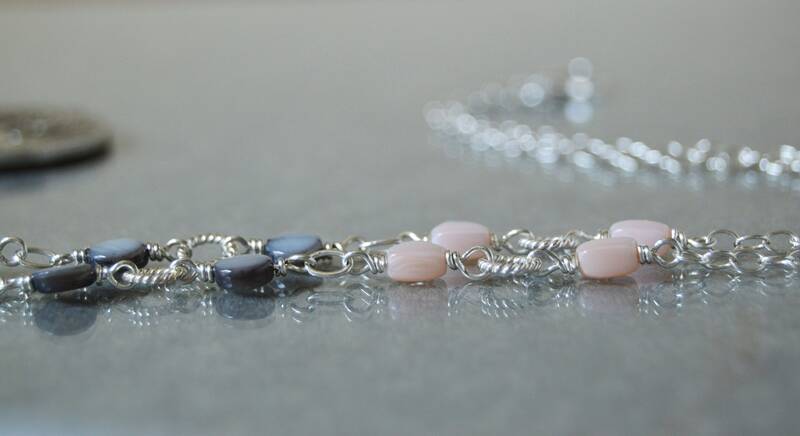 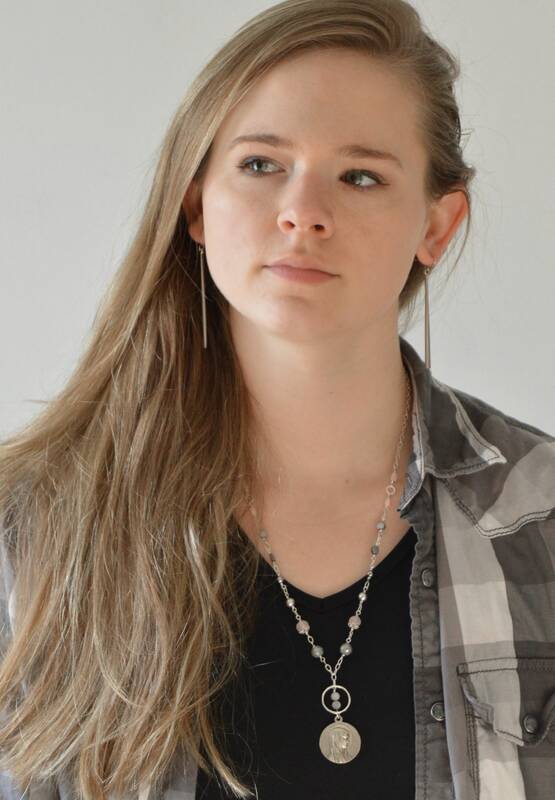 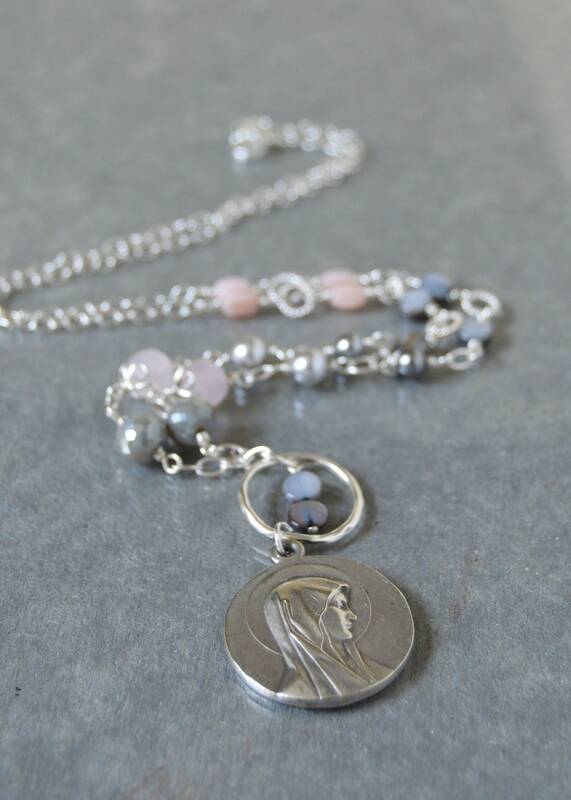 Sterling Silver wire wrapped beads, including vintage blush rosary beads and faceted glass grey beads with sterling silver rope ring lead to a sterling silver clasp completing the design.